A freshwater plant native to tropical and subtropical climates, the lotus provides beauty as well as nutritive benefits to its environment. 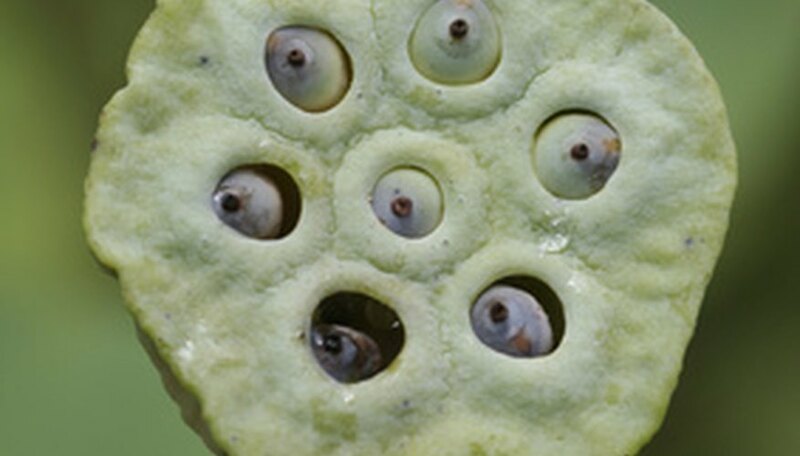 The seeds of the lotus flower, aside from being used medicinally, offer flavor and nutrition. Cooking lotus seeds at home, in a variety of ways, is a simple process that adds bursts of flavor to your Asian-inspired meals and snacks. Brush a baking sheet liberally with sesame oil. Spread the lotus seeds evenly over the baking sheet. Bake the lotus seeds at 450 degrees for approximately 15 minutes. Stir 3 cups of sugar with 2 cups of water in a saucepan. Boil the mixture until a thick, brown caramel forms. Spread the cooled, baked lotus seeds over a sheet of waxed paper. Pour the caramel mixture over the seeds making sure to cover all of them. Allow the caramel seeds to cool in a freezer on the waxed paper, on a baking sheet, for approximately three hours. Cut it into squares for a delicious candy. Fry the seeds in sesame oil and add as a alternative to croutons to your salads. Add the seeds to a soup and simmer until the seeds expand and soften. What Is the Lotus Plant?